We’re pleased to announce that A Ray of Light is one of five finalists in the 2017 Arnold Bennett Book Prize. The five finalists are Sitting Ducks by Lisa Blower; Potters: A Division of Labour by John Lancaster; A Ray of Light: Reinhard Heydrich, Lidice and the North Staffordshire Miners by Russell Phillips; Arnold Bennett’s Grand Babylon Hotel edited by Rando Saloman and What Must Happen by Jeffrey Wainwright. Broadcaster and journalist Samira Ahmed will present the winner with a £500 cheque at a ceremony at Keele University on 1st September. Following the prize presentation, Samira will deliver a lecture entitled “What Arnold Bennett can tell us about Brexit Britain”, as part of a two-day celebration of the author. We’re pleased to announce that A Ray of Light: Reinhard Heydrich, Lidice, and the North Staffordshire Miners is now available in paperback and ebook (Kindle, iBooks, Kobo). It will be available from other ebook retailers shortly. This is the inspiring true story of what happens when ordinary people unite to make a stand against evil. Lidice was a peaceful and vibrant community in Czechoslovakia with a rich mining heritage. But an act of Nazi revenge saw this village wiped from existence in a horrifying chapter of European history. Disaster struck for Lidice in 1942 when the prominent Nazi official Reinhard Heydrich was assassinated. Described by Hitler as “the man with an iron heart”, Heydrich was one of the key architects of the Holocaust. His death, after an attack by members of the Czech resistance, left Hitler furious and desperate for vengeance. Looking for a scapegoat to blame for Heydrich’s death, he settled on the village of Lidice, which had been falsely linked to the assassination. In a brutal act which shocked the world, Lidice was completely destroyed. The men were shot while the women and children were rounded up and sent to their deaths in Nazi concentration camps. Hitler was determined that by the time he had finished, no one would even remember Lidice, let alone live there. What he hadn’t reckoned on was the efforts of a group of campaigners in Britain, who resolved to make sure Lidice would never be forgotten. 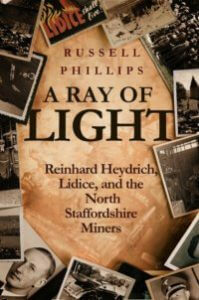 A Ray of Light tells the tale of Lidice’s downfall and what happened next. Would the village simply be allowed to become a footnote in history, or would it rise from the ashes and forge a new future? This book is a compelling testament to the power of friendship and solidarity, and how empathy and compassion can help rebuild the world. Our children’s book, Tessa the Tank and the Classic Vehicle Show, is now available in paperback from Amazon. Buy it here. 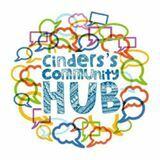 If you’re near Stoke on Trent on Saturday 30th of January, come along to our book launch event at Cinders’ Hub, 35 Market Place, Burslem, Stoke on Trent, ST6 3AG. There will be children’s activities, a competition, and a raffle – all free of charge to visitors.